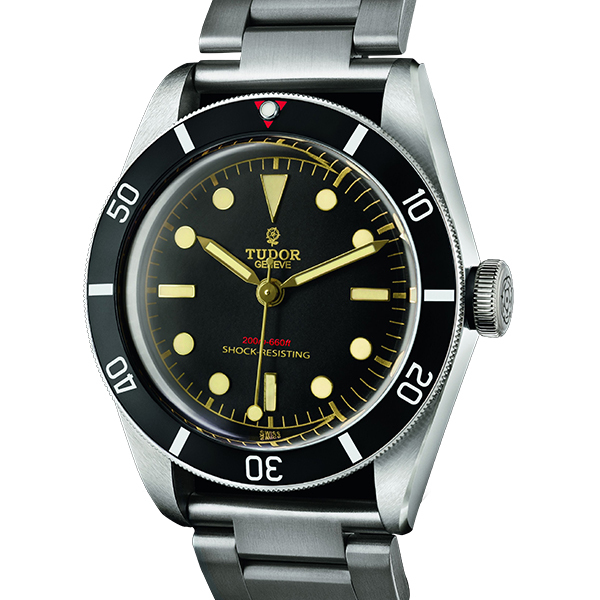 We asked Tudor today – with such a vivid and rich heritage in dive watches, how does one decide on which codes to keep and which ones to put aside when creating a new watch for a new generation that is so hyped up about all things vintage. And we couldn’t have hoped for a better person to pick up the question, than the genius designer Ander Ugarte himself. You may not know him by name, but you know his work for sure. 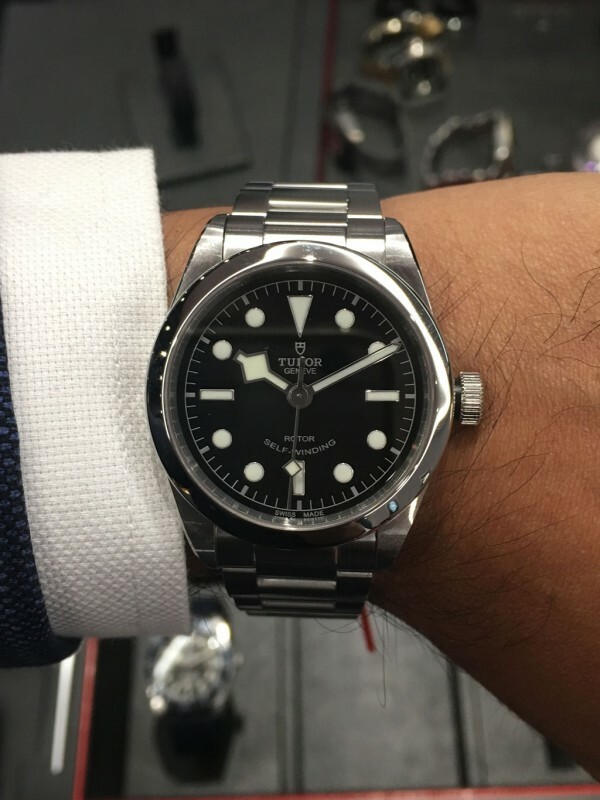 Remember the Tudor Heritage Black Bay One? The unique piece that sold at Only Watch 2015 for a staggering CHF 375,000? 120 times over list price ? Yup, that watch was the work of Ander Ugarte. 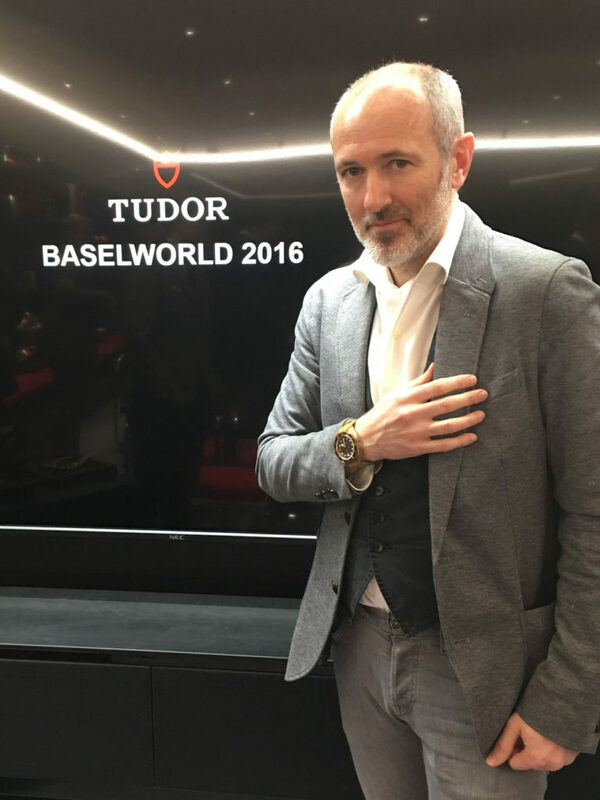 And so is every single one of Tudor’s Basel 2016 line up. 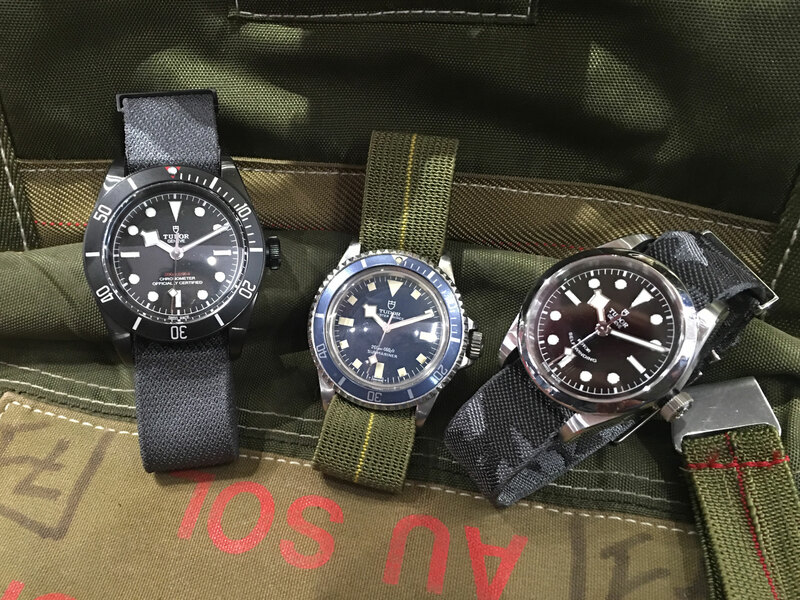 Ander explains that in order to have come up with these new icons, he had to analyse all of Tudor’s dive watch heritage and identify small elements that are good and relevant. And after having done all of that, he had to force himself to forget everything. It was the only way he could try out different combinations and mixtures from Tudor’s pallet and have it result in something new. Not everything worked all the time, but as we see here in Tudor’s 2016 collection, the things that did work – turned out to be the perfect combination of vintage codes on a modern watch. 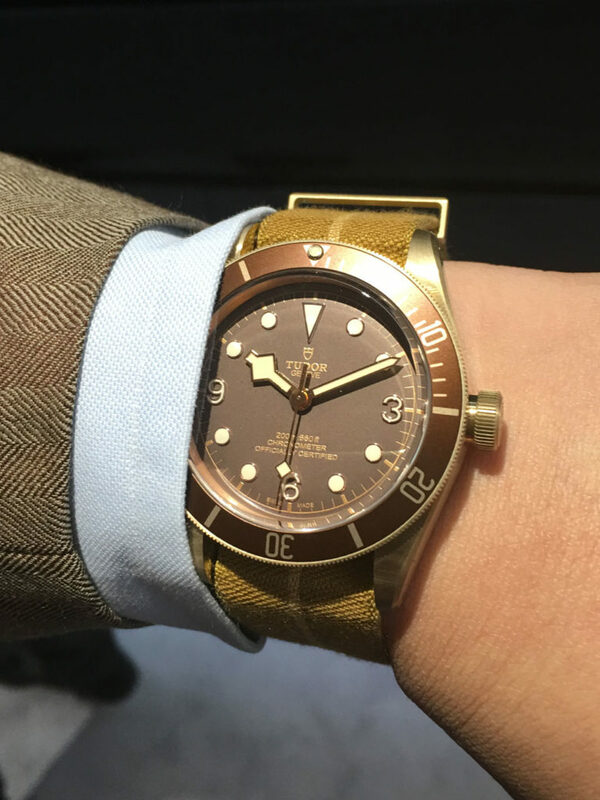 Speaking about the Heritage Black Bay Bronze, Ander proclaims: “it is made of a kind of living material.” And that’s not hard to understand – because owing to the nature of bronze, this is a watch that will evolve with its wearer – to develop patina and lend itself to many life stories. The case on this one is a hefty 43mm. Ander explains that in order for the material to visually translate its heft, he had to opt for a larger size. Ander’s obviously juggled this challenge of proportions with immense dexterity, resulting in a watch that is incredibly arresting, open and absolutely jaw dropping. 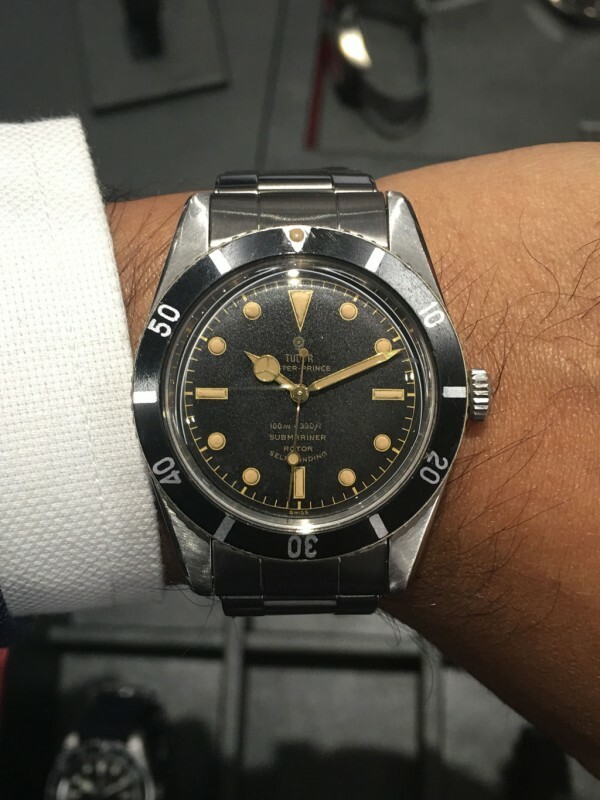 Not Voldemort or Vader in reference here, but yet another Black Bay – the Heritage Black Bay Dark. Rendered in a 41mm black PVD treated steel case, the watch is more than the sum of all the PVD it has to offer, because here Tudor has given the people exactly that they have been asking for. A black watch, with a black bracelet (or, options for black leather or fabric strap). Check out the red triangle at 12 o’clock on the rotatable bezel and the red text on the depth rating – with all these elements coming into a watch that is straight from the brand, how can you not be excited. What we must talk about next is really the movement with in: a new in house caliber, the COSC certified MT5602. 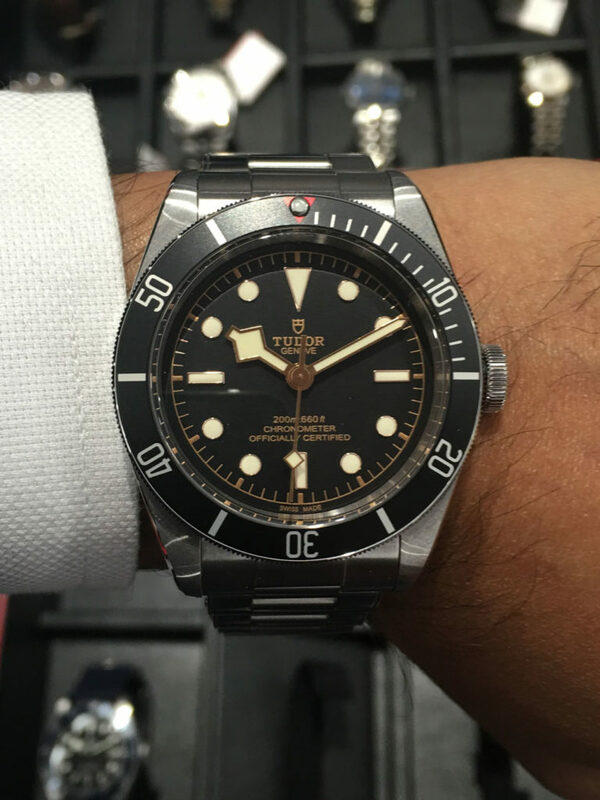 In fact the Heritage Black Bay Bronze too is fitted with a new caliber from Tudor the MT5601. 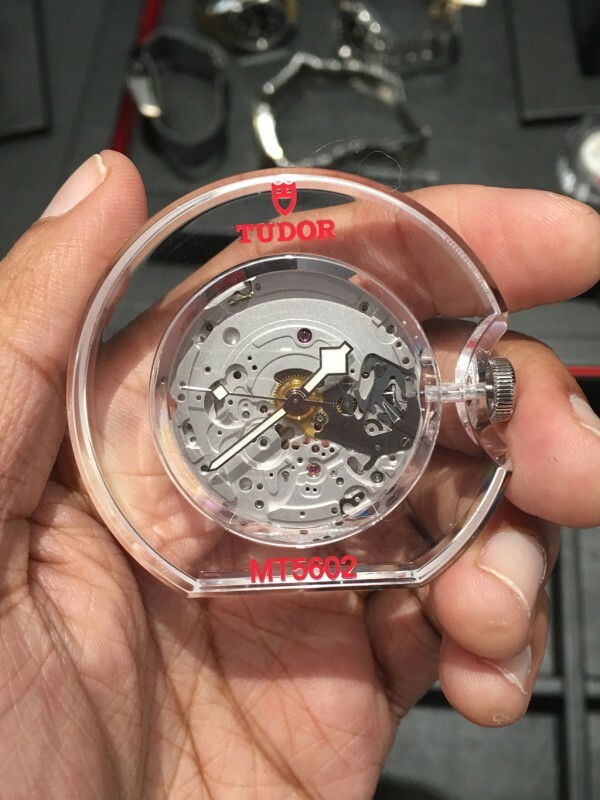 The new MT5602 then allows us to segway into Tudor’s refresh of the existing Heritage Black Bay pieces with the new movement as well as new implementations on the dial – such as the more modern shield logo as well as the three line text at 6 o c’lock, as opposed to the prior “smile” text at that position. I have to say though that of all the elements that Tudor did modernise on the dial, I love that they kept the gilt text! 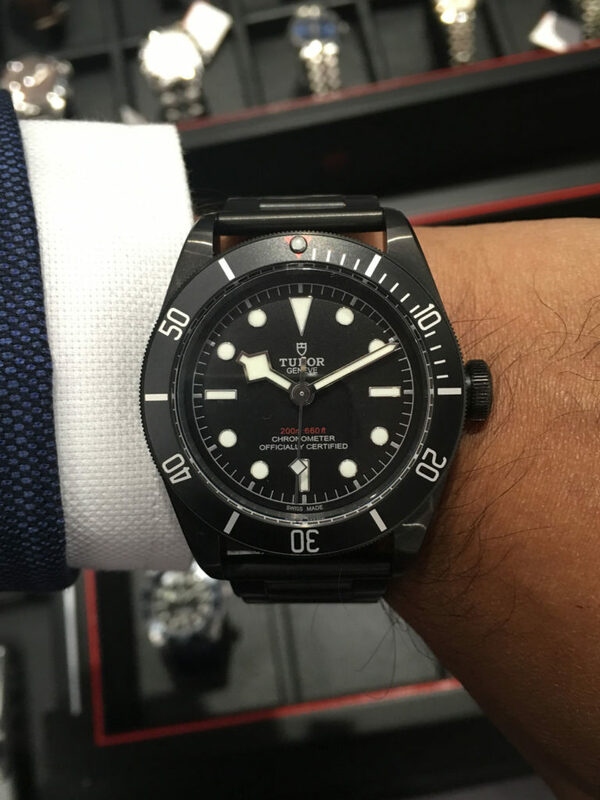 Yes, that’s a Star Wars reference – but here I want to draw your attention to another new one from Tudor: the Heritage Black Bay 36. That 36, equates to the watch’s diameter. No new in-house movement here, but this is what has poised itself to become the best looking “entry” watch – ever. And at this proportion, it’s a watch oddly reminiscent of old time-only tool watches – somewhat like Tudor’s own vintage submariners. 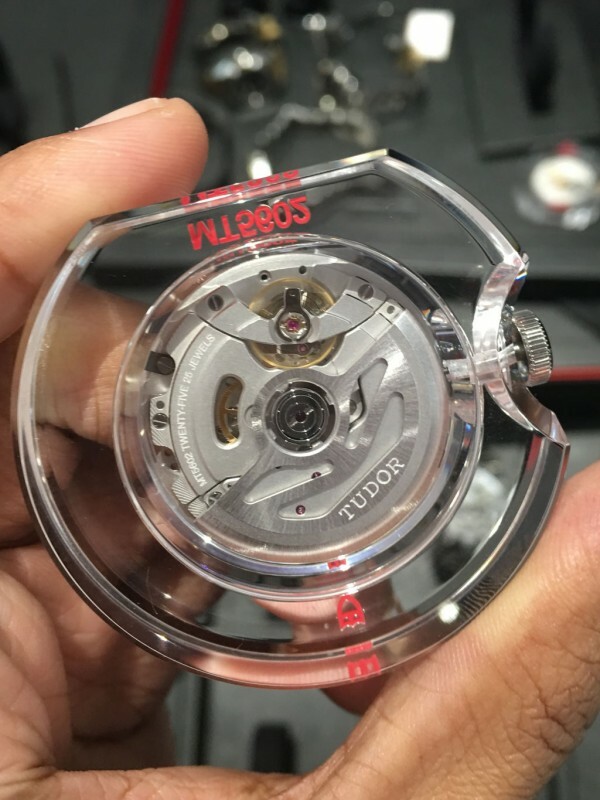 It appears as though, Tudor has made it a point to heavily capitalise on its luscious heritage here at Basel 2016. And why not, if Tudor’s performance at the Only Watch auction is to be taken as any indicator – then this was clearly the right decision. Recounting being on the auction floor for the Only Watch auction in November last year, Ander says he was absolutely ecstatic with the watch’s performance – he said he felt like he was on a completely other planet. Now here at Basel, with all our grinning faces surrounding him and his new creations, I don’t think there was a happier man in Hall 1 today.